We wouldn't be surprised if everyone and their mothers dress up as vampires this Halloween. After all, with the media storm of TV shows, movies, books, and merchandise crowding every bit of our lives, there's no getting away from the popularity of vamps. So it only makes sense that, since you and your kids will be dressed up like bloodsuckers, that you have a vampire-themed Halloween party as well. 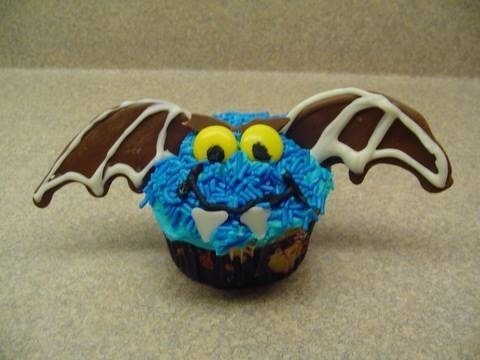 And what better way to complement your party decor (as well as give kids that obligatory Halloween sugar coma) than by serving them these vampire bat cupcakes? Watch the video for the how-to.